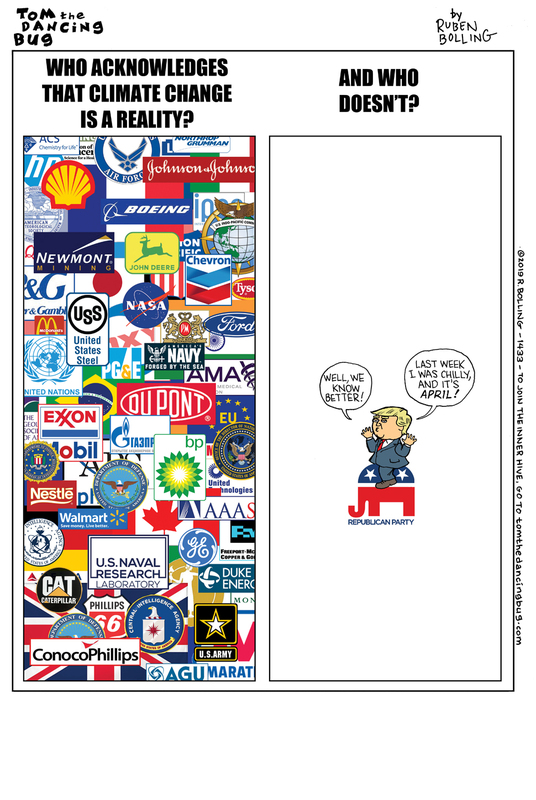 Tom the Dancing Bug, IN WHICH is asked the question Who acknowledges that climate change is a reality? and the question Who doesn't? You wouldn't believe the fun you're missing if you're not a member of Tom the Dancing Bug's Proud & Mighty INNER HIVE! Get with it!